Description: While Brightvale is home to anything and everything knowledgeable, is it also home to some of the finest fashions in Neopian history. Description: If you want to successfully explore Kreludor, you have got to look the part. Description: You did not think they just let in whoever they feel like, did you? You have got to look the part! Description: Into the dark realms and inevitable doom of Haunted Woods fashion! Description: Well, it's that time of year again, one of the most festive times for all of Neopia. Yup, you guessed it! 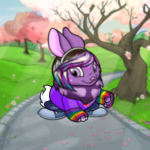 Neopets' birthday! Description: In order to have the best possible Moltaran experience ever, you need to dress the part! Description: Well, the holiday season is upon us, and one of the top tourist hot-spots around this time of year is Terror Mountain! An urgent singsong voice broke into Lae's dreams. It was sweet, but harrowed, and had the tone of someone about to commit a desperate act.